CBD Mix pack is a mixed pack of our Indica and Sativa strains, good for both indoor and outdoor growing. They are all 1:1 THC/CBD and have a flowering period about 7-10 weeks. These CBD strains have a great calming effect, good for relaxing and handling spasms and chronic pain. These plants are self-supporting and produce tight, compact buds, with an excellent range of flavours and large potential yields for medical extractions. Good for making oils and concentrates. This mixed pack of feminized strains is perfect for the indecisive grower. Not sure what feminized strain is right for you? Why not try them all? 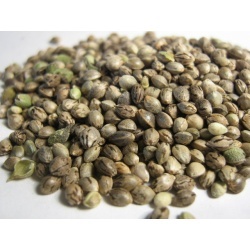 We’ve included the classic strains with our unique breeds all in one pack of 6 seeds. Growers enjoy a little bit of everything in their garden. Sativas, indicas, and hybrids, all feminized.